Highspot for me this year was seeing the magnificent paintings of Joseph Wright in Derby. According to ancient legend, the person who ‘invented’ painting was not a man, and did so by tracing the shadow of her boyfriend. 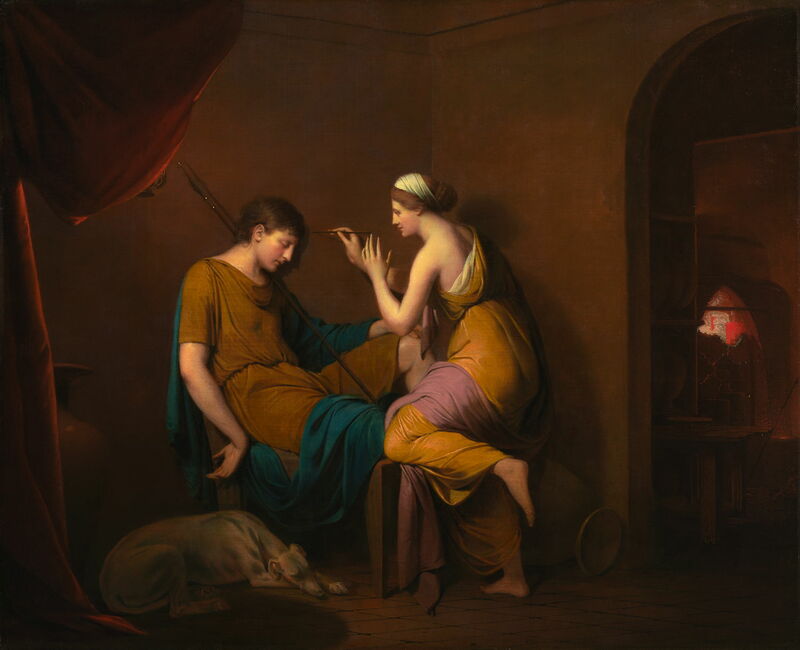 Dibutades, a maid of Corinth in Greece, was about to see her boyfriend sent away from the city on military service. As the daughter of a potter, she devised an ingenious way of making a portrait to remember him by: when he was asleep, she positioned a light to cast his shadow against a wall behind him, then she traced the outline of that shadow in the plaster. Once he had gone, her father then transformed his painted silhouette into the first relief sculpture by daubing clay within the silhouette.